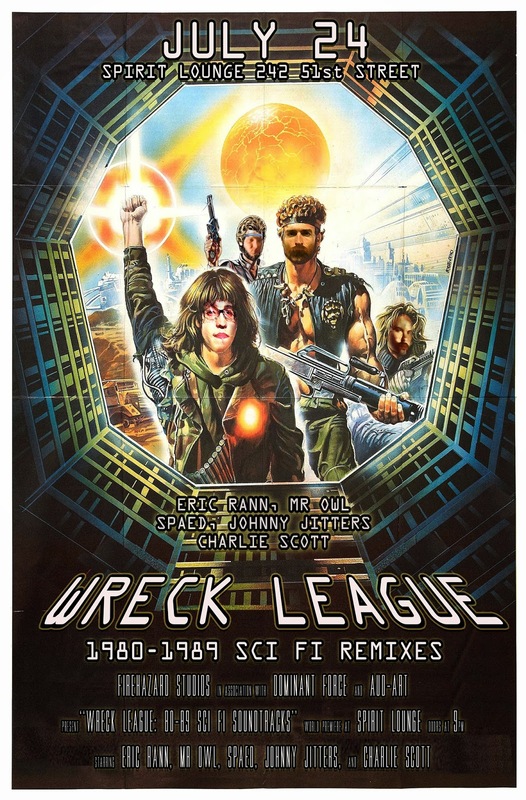 Wreck League is a custom remix party series which takes particular themes within cinema and pop culture and brings them to the dance floor for a one-night show. The rules are simple: we select a theme, and participating producers dig for sample material within the spectrum to remix. We play this material for one-time use to give attendees something they cannot find online. Audio and visual source material are weaved together, bringing in visual themes which match the music. From Hollywood classics to obscure foreign films, we promise to bring you every explosion, synth and laser you can handle in one action-packed night. ✦ FREE Wreck League: 8089SF soundtrack ONLY AT THE DOOR includes 1 hour of selections – the other 3 hours of original beats played live will not be available anywhere, so BE THERE! Hosted by a.p. on April 4, 2015. Paris and New York, obviously two of the most influential cities in the history of culture, come together on Jack Wilson and Keor Meteor’s new EP “Enter to Exit” (Parliament of Strix Records). Originally from Pittsburgh, Jack moved to NYC in April 2012 – around the same time Paris’s Keor had held an online audition via SoundCloud for MCs to feature on a mixtape + subsequent EP. Jack was one of the artists chosen, so with a fresh selection of beats in a pulsating new city and no TV or internet, he wrote 8/9 of the lyrics to “Enter to Exit” (along with a half dozen poems) during his first two months in NY. Since his studio was still in an extra bedroom in Baltimore, he recorded rough demos through his iPhone to send to Keor and thus began the process. Our Pittsburgh Soundcloud Meetup group will assemble again on Wednesday March 6th. We welcome musicians, producers, vocalists, radio broadcasters and other sound professionals, as well as any and all members of the interested public, to join us. The atmosphere of our meetups is casual and workshop-style. We would like to thank our new hosts at Brillobox – we will now be enjoying a proper club sound system, a projector with projection screen, and upgraded seating! We will begin the evening with an introductory discussion about the new Soundcloud interface changes and features, hosted by our friend DJ Spaed. Then we get into the sessions. Here’s how it works: Each session is an opportunity for a local Soundcloud user – whether producer, DJ, radio host or otherwise – to share their chosen craft with us. With the aid of video projection and full sound system, the session host will take us through their process or lead a discussion about a topic of relevance, with the opportunity for the group to ask questions. This will be audio-recorded and archived to Soundcloud for all the world to hear. Other ideas for future meetups are welcome, please get involved and become part of our thriving offline community! Our Pittsburgh Soundcloud Meetup group will assemble again on Wednesday October 17th. We welcome musicians, producers, vocalists, radio broadcasters and other sound professionals, as well as any and all members of the interested public, to join us. This month’s meetup will focus on the successful Pittsburgh Producer Presentations that we did for the first time earlier this year at Soundcloud Global Meetup Day: Pittsburgh. Here’s how it works: Each producer will present one or two original tracks to the group. First we will listen carefully to their song. Then the producer will explain the production process by stepping through the project session, which will be projected onto the wall for all to see. Finally, the producer will answer questions from the group. This will be audio-recorded and archived to Soundcloud for all the world to hear. 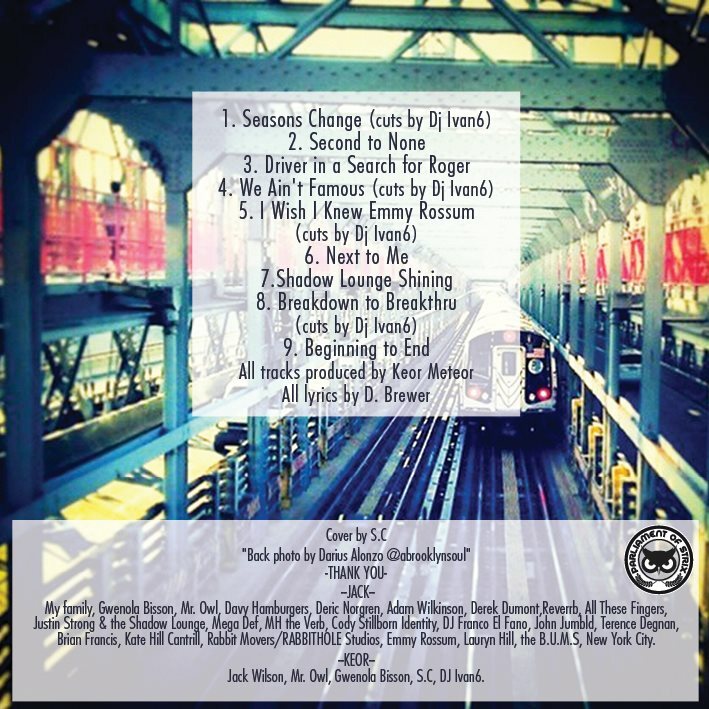 ‘PHOTOPHOBIA’ (Parliament of Strix – MR. OWL’s label) is the fourth EP by Jack Wilson, a veteran Pittsburgh poet/ hip-hop artist currently residing in Brooklyn. The term “photophobia” means an extreme sensitivity to bright light. It causes side-effects which can include migraine headaches, from which Wilson himself has suffered since a child. The EP contains 9 tracks culled from 7 different producers, including two tracks from Derek Dumont whose production was also twice featured on Wiz Khalifa’s ‘Taylor Allderdice’ mixtape. 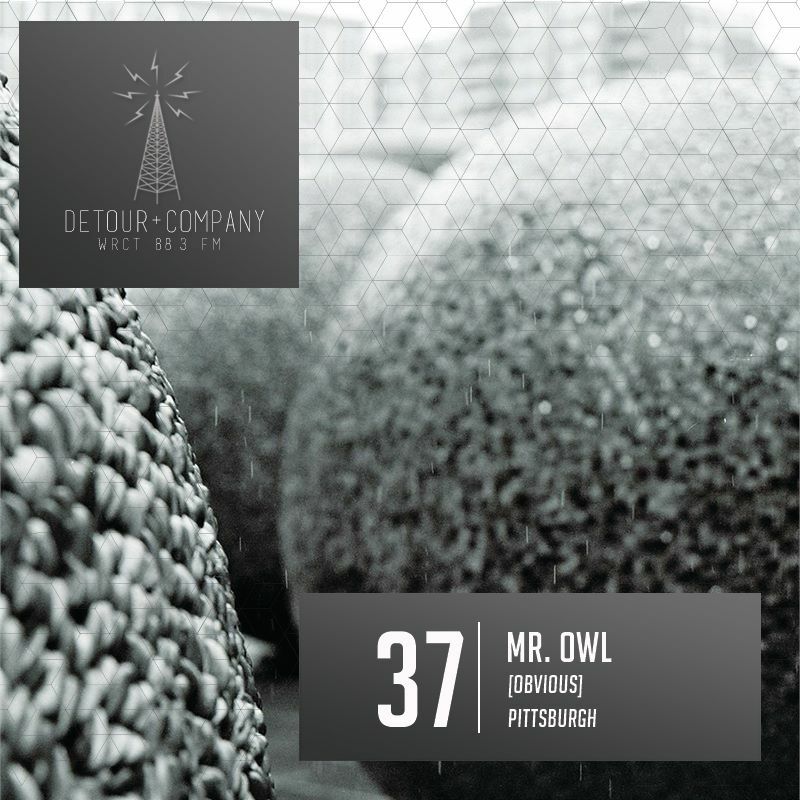 Moscow’s Malefique contributes two tracks as well, while Mr. Owl, Reverrb, and Rephrazed (all from Pittsburgh), All These Fingers (Detroit), and Quiet Noise (Wales UK) round out the rest. Mr. Owl’s “Most Mighty” also features Delaware MC Avant-Garde, whom Wilson met in Baltimore where they both lived for a short time. Baltimore is also where most of the tracks on ‘PHOTOPHOBIA’ were actually written. On Wednesday October 3rd, ‘PHOTOPHOBIA’ will be available to stream free RIGHT HERE at pstrix.com, and for choose-your-price download via Bandcamp. Wilson will be celebrating the release of both of his upcoming EPs on November 1st with Terence Degnan and Stillborn Identity at Goodbye Blue Monday in Bushwick, Brooklyn.